The scale of this welcome bonus is incredible! 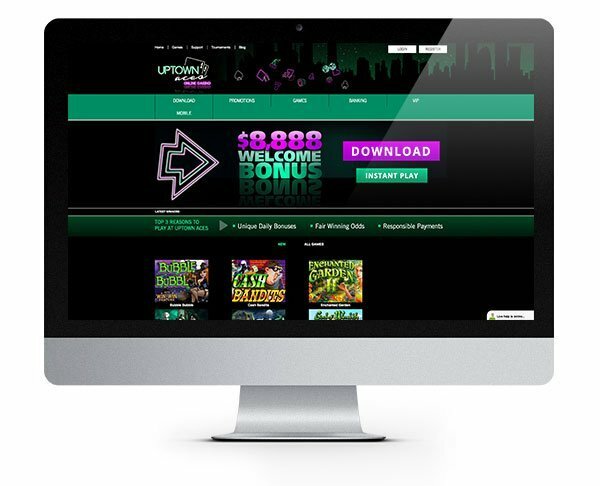 Earn up to a massive $8888 in bonus cash when you register and deposit at Uptown Aces Casino starting with an amazing 250% Match Bonus up to $2500! Don’t miss out on your chance to add 50 Extra Spins on their popular game Enchanted Garden when your register and deposit into your new account before 31st October 2017! Get a $8888 Welcome Bonus! Head on over to Uptown Aces Casino for some seriously good gambling! This Real Time Gaming powered casino is bursting with fun and exciting slot games and table games that would rival any real-life casino floor! The fun design which features cool neon graphics is bright and exciting and welcomes any and all to join in the fun! Players can opt to download the casino software, so they will be able to access the full suite of games straight from their desktop. 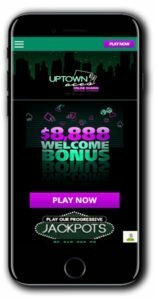 They may also choose to play instantly through their desktop browser or access a smaller collection of the games via the Uptown Aces mobile casino. Either way, it allows you to choose when and how you like to play and offers slick and seamless gameplay across all devices. From the main home screen, you can choose to go straight to the games, view the latest promotions or visit their banking page. You can also use the quick live chat link at the bottom of the screen to access their 24-hour live chat support. The support page also provides details of their email and toll-free telephone support which are both available daily. 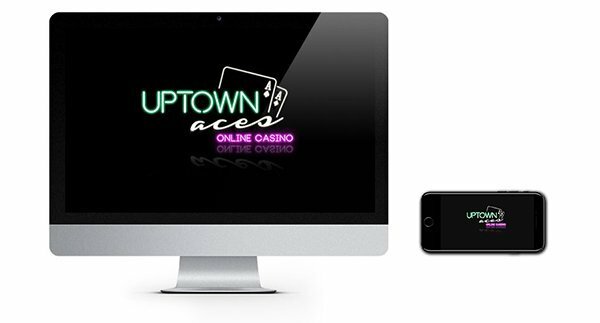 Uptown Aces Casino accepts several key payment vendors including Visa, MasterCard, American Express, Skrill, Neteller, EcoCard, Direct Money and Bitcoin. Uptown Aces have a feast for the senses waiting for any gambling fan. Their collection of Real Time Gaming titles includes classic slots, video slots, progressive jackpots, table games, card games, scratch cards, keno and bingo…phew! Slot fans will enjoy browsing through the many games available and discovering some new and old favourites. Check out Crazy Vegas, Basketbull, Henhouse, Super 6, Aztec’s Treasure and Aladdin’s Wishes! Progressive games include Spirit of the Inca and Cleopatra’s Gold. There is a good choice of video poker titles such as Deuces Wild, Aces & Eights and Joker Poker. If you prefer to hit the table games you could be enjoying Blackjack, Roulette, Pontoon and Caribbean Hold’em Poker! Uptown Aces have a decent choice of games covering most of the key gambling categories so players should be able to find quite a bit to keep them entertained at this casino. 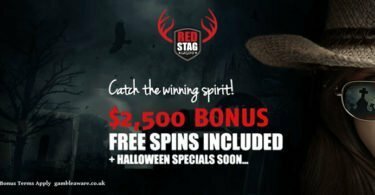 Claim Your 250% match plus 50 Extra Spins! IMPORTANT NOTICE – Make sure you are aware of gambling regulations in your country of residence and ensure you are not playing from a restricted country before you register at Uptown Aces Casino. Uptown Aces is where it's at! Enjoy top casino games and slots from Real Time Gaming plus this mega welcome bonus package! 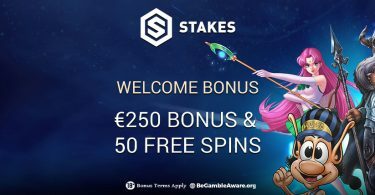 Stakes Casino: $250 Bonus + 50 Free Spins!